We have a team of bailiffs keeping an eagle eye on our waters to protect against poaching and to guide those who know no better. These are volunteers who give their time willingly for the well being of the club so that you and I can enjoy our fishing. You can help. 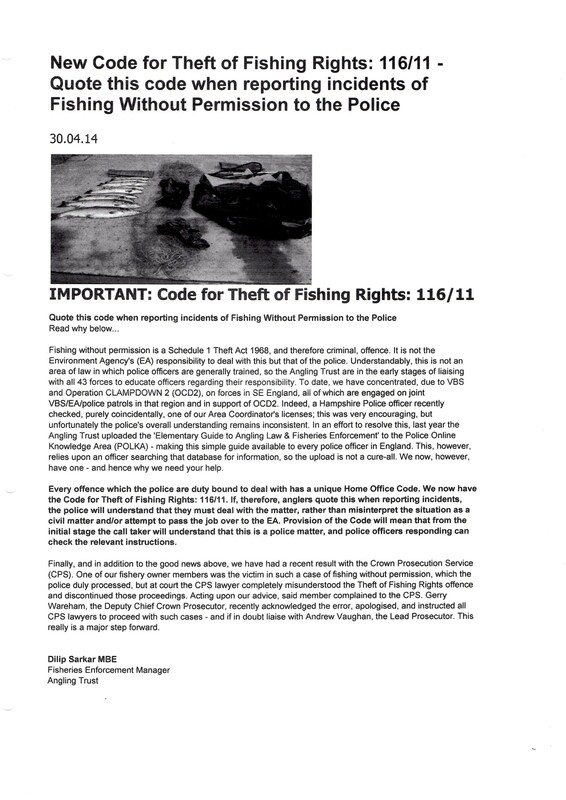 A new legal offence of The theft of Fishing Rights (Code 116/11) has been established. If you are aware of anyone fishing our waters who should not be then please call the police on 101 and report the offence using the Code 116/11, Theft of Fishing Rights and please be sure to report this to the club officials. Your support can make all the difference.